This boot satisfies all our requirements for inshore and ocean racing and cruising alike. For most sailors aft of the mast during inshore fair weather racing or cruising, a pair of non-slip non-skid lightweight sailing shoes is probably the most appropriate footwear. 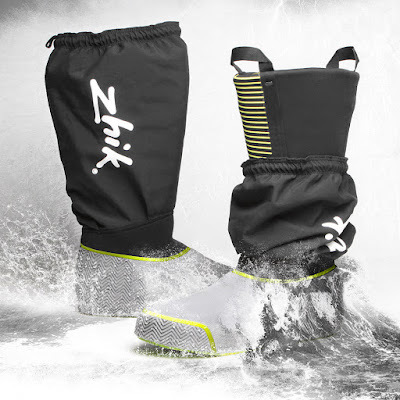 The Zhik ZK Seaboot is the footwear you need to have for every other situation. You’ve probably seen them on the feet of Volvo Ocean Race sailors as they head around Cape Horn. And while we readily admit these boots won’t win any fashion awards, when we’re out on the water we’d rather look warm and practical than cold and stylish. 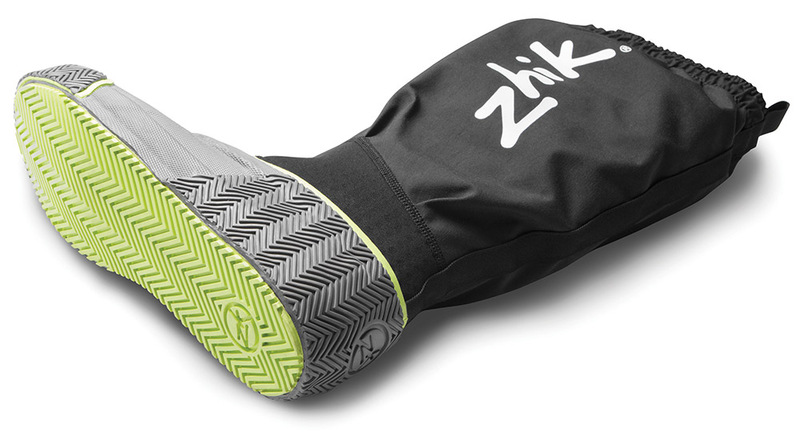 Read on to find out why, no matter if you’re a racer or cruiser, inshore of offshore, professional or dedicated Corinthian, the ZK Seaboot is the boot you need to have in your gear bag. The ZK Seaboot is lined with Hydromerino, which is a fancy futuristic-sounding name for natural Merino wool blended with quick-drying polyester fibers. The inner sole offers a comfortable layer of cushion with moderate arch support suitable for long shifts at the helm—basically, these are the Uggs of sailing. You could go barefoot in them if you just want to keep your feet dry, but we suggest a pair of knee-high wool socks for really rough and cold conditions. Put your feet in your boots, secure your foulies down over the neoprene upper, pull up the outer gaiter, and hit the rail and hike. The waterproof gaiter has a neoprene gusset to allow for drainage, and a non-stretch draw cord to keep the gaiter securely in place just below your knee. Unless you’ve got holes in your foulies, there’s no way water is getting in this boot no matter the size of the waves coming over the bow. These sailing boots might appear bulky in the pictures because of their heavy-duty construction, but we assure you, they’re not. You’ll be equally as comfortable knocking around the front of a J/70 on a breezy day as you would on the bow of a Volvo 70 crossing the Southern Ocean. No need to redo the non-skid on your deck if you buy a pair of these boots. What we love is not only how grippy the sole of the boot is, but that the grip extends around the toe and all the way up the heel to your ankle. No matter where you are on the boat or what you’re doing, these boots will keep you upright. We wore these halfway to Hawaii on a wet and wild ride, and when we hit the island, the boots still smelled like new. That’s back to the Hydermerino inner lining, which not only keeps your feet warm and dry, but also offers natural odor control. Not only will you love these boots, but your crewmates will love you more for wearing them. Really, the only complaint we have about these boots is that they don’t officially come in women’s sizes. However, if you wear a women’s size 7, the Zhik size 6 ZK Seaboot will fit you just fine. Okay. Ready to order? Click here!